We live in an innovation-by-the-minute age. New products and technologies come to the marketplace every single day. Most leave just as quick without leaving a trace. The Internet of Things (IoT) however seems to have gained significant notoriety over the past 2-3 years. It has the potential to be truly disruptive and have a very long lasting impact over our lives going forward. Or, at least that’s the buzz. This is our attempt at cutting through the BS hype, see it for what it is and then make our own minds about IoT. 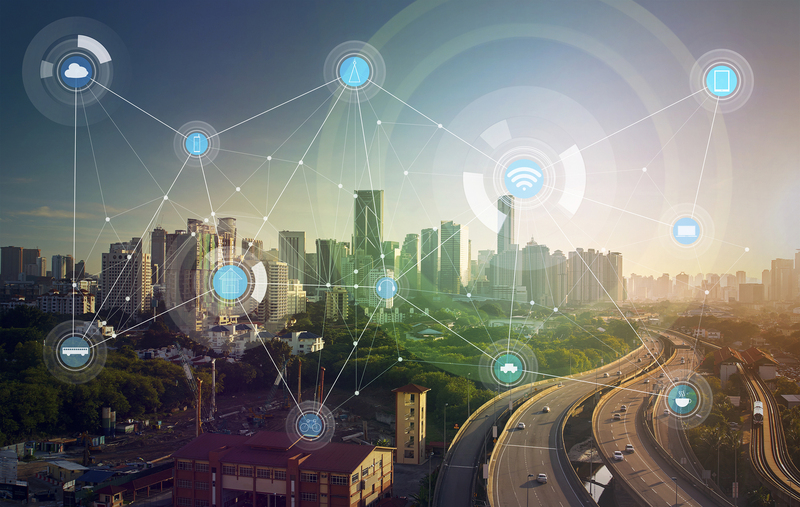 There are several definitions of IoT, but the one that explains it best is this from Wikipedia: The Internet of things (IoT) is the inter-networking of physical devices, vehicles (also referred to as "connected devices" and "smart devices"), buildings, and other items—embedded with electronics, software, sensors, actuators, and network connectivity that enable these objects to collect and exchange data. Which begs the question, why would we want to embed electronics, software… on physical objects to collect/exchange data in the first place? One reason is to control these “things” (think home automation – lights, door locks, heating/cooling etc.) remotely using the “Internet” (hence Internet of Things). Other is to be able to monitor these things and take corrective action when something goes wrong, or depending on the application, be able to pre-empt failures and schedule preventative maintenance. That in our opinion is the true value. Being able to pre-empt failures can save millions of dollars in service costs and provide for a much better customer experience. OK, now that we’re educated on what IoT is and what the applications could be, it’s time for the all-important question. Is IoT all hype or does it truly have the disruptive power that everyone says it does? Depending on the report you’re reading, research & analyst firms peg the total number of “connected devices” to anywhere between 20 and 50 billion by the year 2020. We are at around 7 billion connected devices now. Stop and think about that for a minute. Knowing where we are today, the estimates for 2020 don’t look improbable, especially given how quickly this is gaining steam this past year or so. But unlike a lot of similar technologies that have been hyped in the recent past (think “cloud”, “big data”), IoT seems to revel in the fact that it builds on these technologies. Almost like someone knew that IoT would be the “next big thing” and started all the prep work by investing in cloud technologies and big data. It’s fair to say that there would be no IoT had it not been for the cloud or our ability to handle/process large data sets (big data). Based clearly on market potential, rate of adoption, and investments companies are making, it would seem that IoT is the next big thing. But it’s also true that IoT is being adopted and deployed at a much faster clip on consumer products than industrial. Manufacturers of large industrial machinery and equipment stand to gain significantly by “IoT-zing” their product lines but it’s a slow transition at best that we are witnessing. Of course, there are considerations to be made for anything that has a legacy business to deal with than one that’s starting from scratch. But that side, there are couple other things that will serve as roadblocks to rapid adoption of IoT. First, “internet” is critical for Internet of Things. Those of us living in the developed world still cannot wrap our heads around the fact that there still are large parts of the world that do not have reliable internet connection or worse still no internet at all. So, if you are selling/catering your products to those geographies, you might not see the value at this point to IoT-zing your products. Second is the general fear or skepticism around being hacked. We live in times when you should start with the premise that everything you do can be tracked/monitored. The more connected devices you use, the more information about you is available “online” and the greater the chances of some hacker sitting in some obscure part of the world being able to hack into that information. Outside of conspiracy theories, some recent events have already alluded to the fact that hackers can take indeed take advantage of vulnerable internet-connected household electronic devices, such as digital video recorders (DVRs) and the digital cameras used in baby monitors and security cameras, without the knowledge of homeowners, to flood websites with information requests, causing sites to crash. But all things considered, the potential of IoT is undeniable. It clearly has crossed the threshold of being dismissed simply as hype. What is uncertain is how rapidly the adoption will happen, given the general concerns/skepticisms outlined earlier. Our final verdict? IoT is real and its adoption is not a matter of “if”; it simply is a matter of “when”. What do you think?